As someone who has never served in the armed forces, never faced a shot fired in anger, and never lost close family members in war, I am in awe of the Anzac generation who were tested almost beyond endurance. Today, we remember the Gallipoli landing. Yet this was just one day and Gallipoli was but one campaign in a four year war. On the 99th anniversary of Australia’s baptism of fire, we remember that fateful day. We also remember the great tide of events – of which Gallipoli was just one part – that shaped our nation and that still casts its shadow over the wider world. 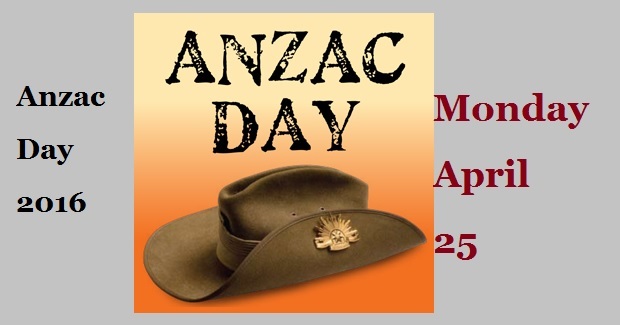 The First World War impacted Australia like nothing else, before or since. Anzac Biscuits. These treats had a very practical beginning. During the First World War, the friends and families of soldiers would send care packages overseas. Since any food they could send had to be resistant to spoilage and full of nutrition, a biscuit made from rolled oats, sugar, flour, coconut, butter, and a few other ingredients became a popular pastry to pack in boxes. To this day, Anzac biscuits are one of the few product approved to bare the Anzac acronym, which is protected by Federal Legislation.